USB ports in several rooms. 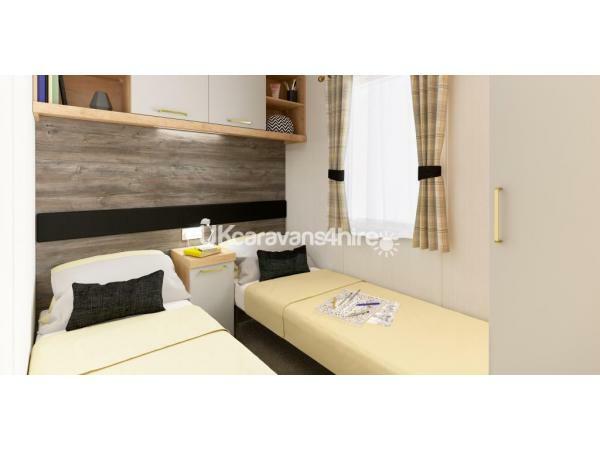 £100 deposit/ bond ( refundable once caravan checked after holiday ) Payment in full by pay pal, bank transfer or money order 4 weeks before start of holiday. 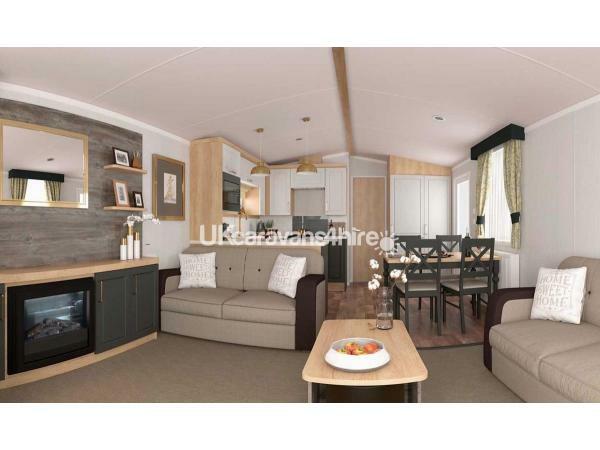 Three bedrooms, two with twin beds, closet and drawer space. 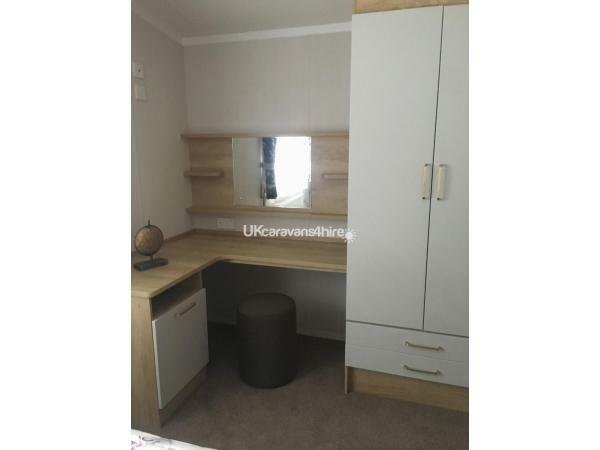 Loads of room in master bedroom, closets, drawer space, dressing table and stool. 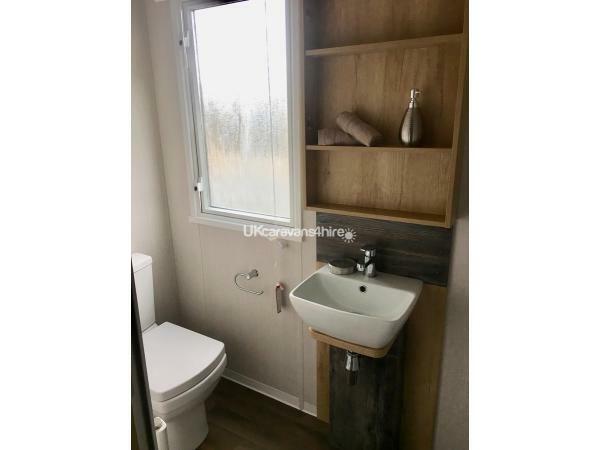 En suite toilet and handbasin. 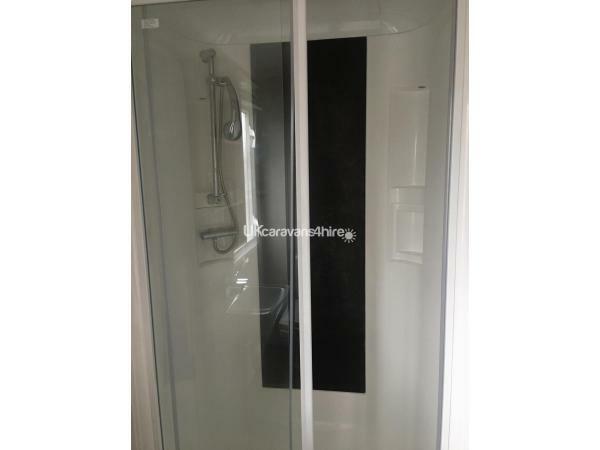 Shower room has spacious shower with toilet and handbasin with storage cabinet. Tv. 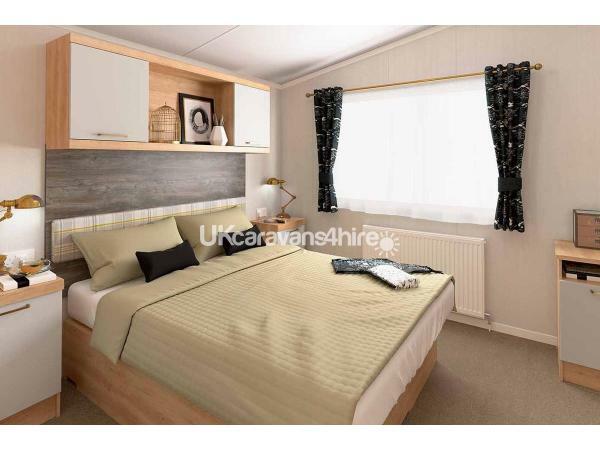 The caravan has full double glazing and central heating. 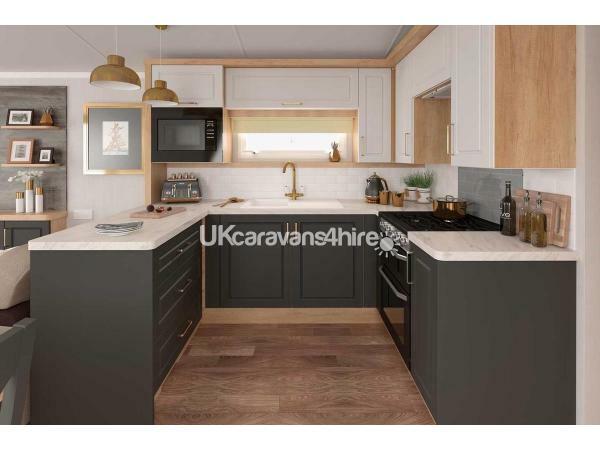 Spacious full fitted kitchen with loads of storage space. Cooker has overhead extractor and light. Full size integrated size fridge/freezer. Dish washer, Extras such as upgraded cutlery. Teapot, egg cups , toasted sandwich maker etc.40 inch TV /DVD player, dvd's and games. Built in blue tooth surround sound for your music . USB ports in most rooms. Tv/ dvd in master bedroom and one twin room. Bed linens provided on full week bookings only . travel cot, high chair, booster seat, buggy provided free of charge (, less for you to load up in your car ) !!! 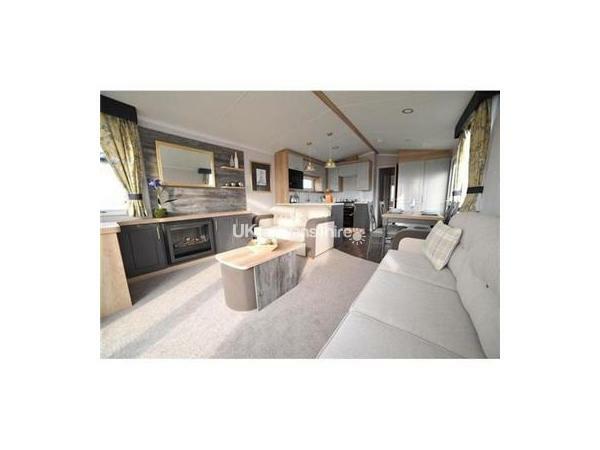 Caravan is south facing and has sun from 11.30 am onwards located in an extremely sheltered cul e sac ..fabulous sun trap. Have added outside tap, so bring along your paddling pool !! 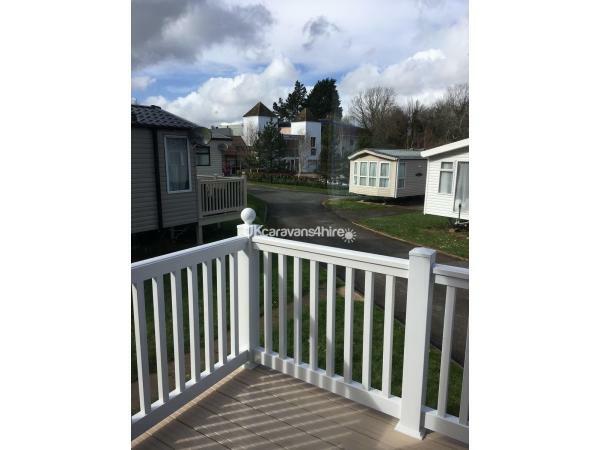 We've just come back from a wonderful stay in this caravan and I had to leave a review to let other people know just how nice and homely it is. Before we arrived the communication between us and the owner Jen has been friendly and professional and she gets back to you quickly. 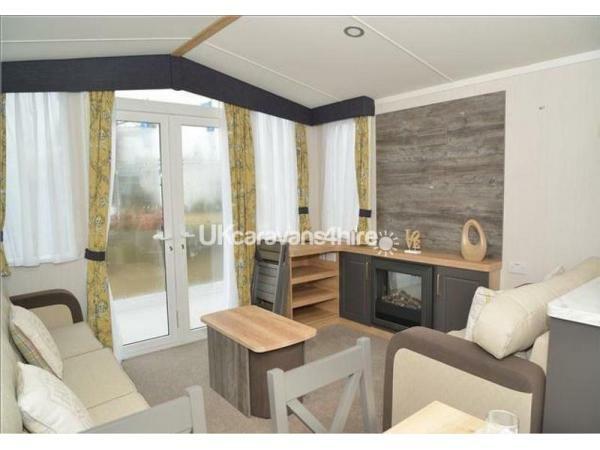 Check in was easy (booked the entertainment passes over the phone with the park a fortnight before and it took 2 mins to collect them on arrival)and the caravan was spotless when we arrived. 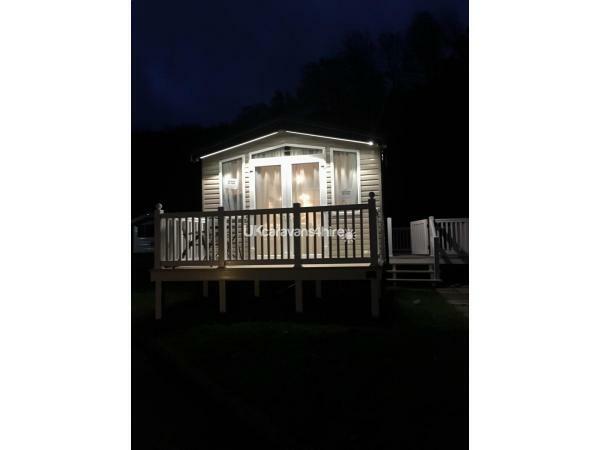 The beds were comfy, the decor is modern and light, the decking is well equipped with furniture for you to enjoy the outdoor aspect and the location is fantastic! We could see the front doors of the clubhouse from the lounge (perfect for older members of the family who have limited mobility and children who want to venture to the arcade or pool alone but not get lost) and even though it is close to the facilities you don't get a lot of noise. Thank you Jen for a really lovely stay. I'm sure we will be back!